Liberators-2 (pictured) The cast of LIBERATORS: AN AMERICAN MUSICAL, part of the 4th annual CHICAGO MUSICAL THEATRE FESTIVAL. Photo by Evan Hanover. It was my great pleasure to catch the press “Sneak Preview,” featuring a sampling of songs from the 2018 Festival. 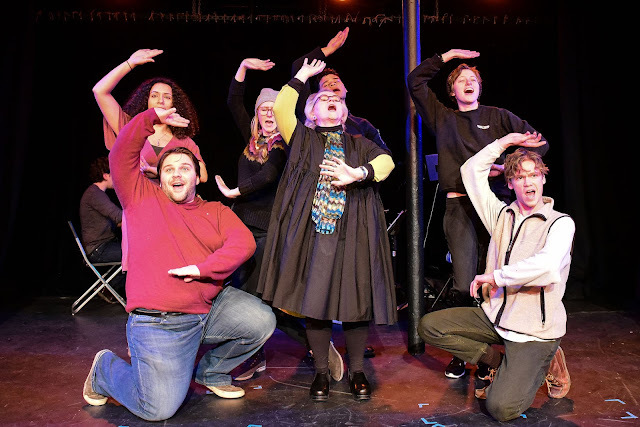 The diverse offerings for 2018 range from impassioned immigrant stories and historical sagas to irreverently raunchy gay dating comedies. Several of the shows have unusual personifications and one even features sock puppets. All in all, this is NOT your parents' musical theatre fest. These new shows all push the traditional boundaries of the genre in exciting ways. Standouts from the medley of offerings in the press preview were THE BALLAD OF LEFTY & CRABBE -- a vaudeville adventure with fun potential, GRINDR The Opera-- a high energy ribald parody that left us wanting more, MUSICAL THERAPY-- a clever premise full of sock puppets and psychology, and finally haunting vocals of “TRU”. Do note, this run of TRU is already completely sold out. 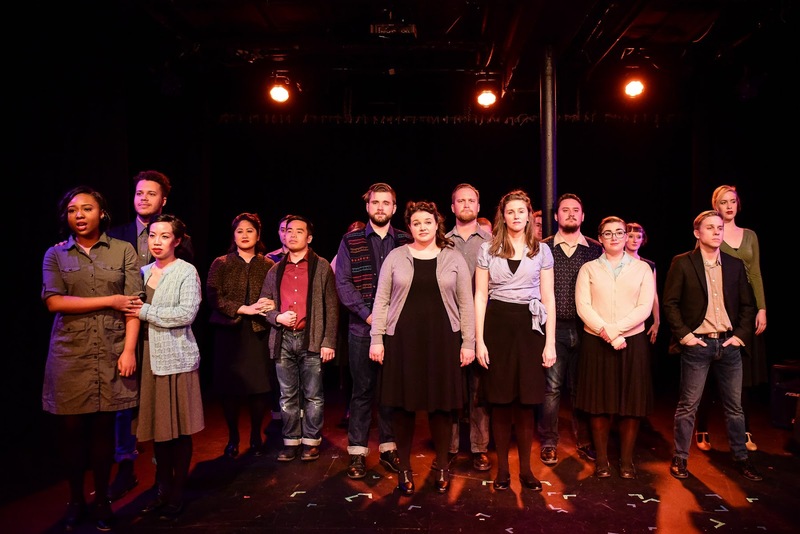 Some of our favorite full productions from the past year, like CiviliTy of Albert Cashier': A stunningly spectacular true tale about a trans soldier, sprung from past years of the fest. 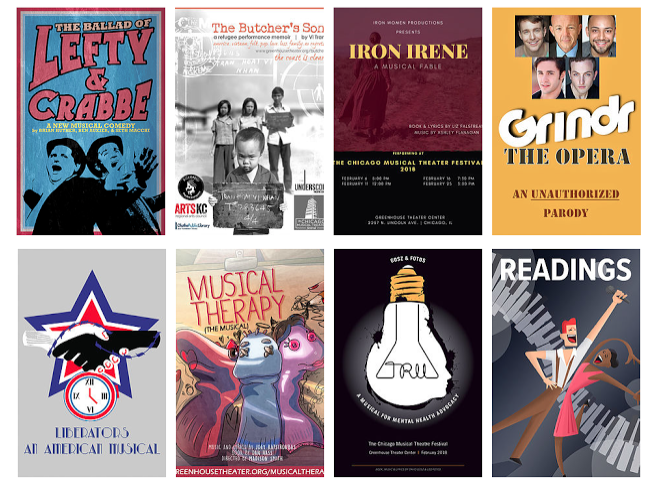 Since its inception in 2014, the CHICAGO MUSICAL THEATRE FESTIVAL has brought 35 new musical to Chicago stages! 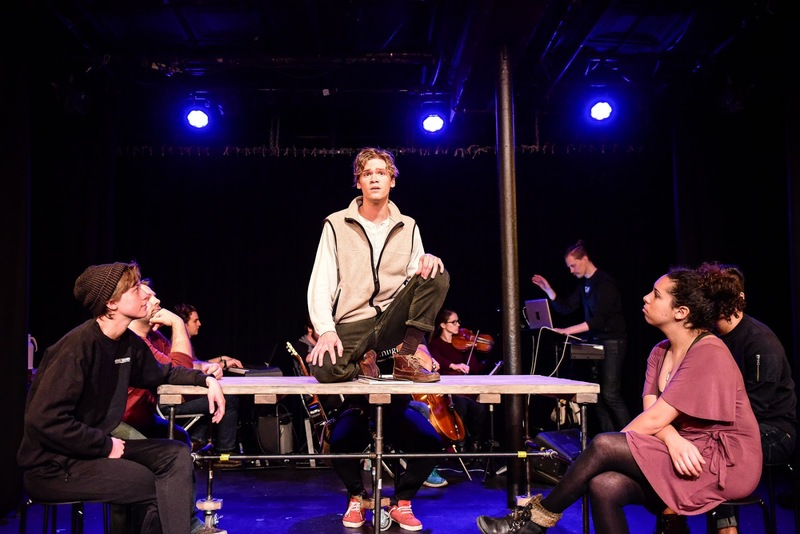 Come check out these fledgeling forays into new musical territory so you can claim you saw it first. 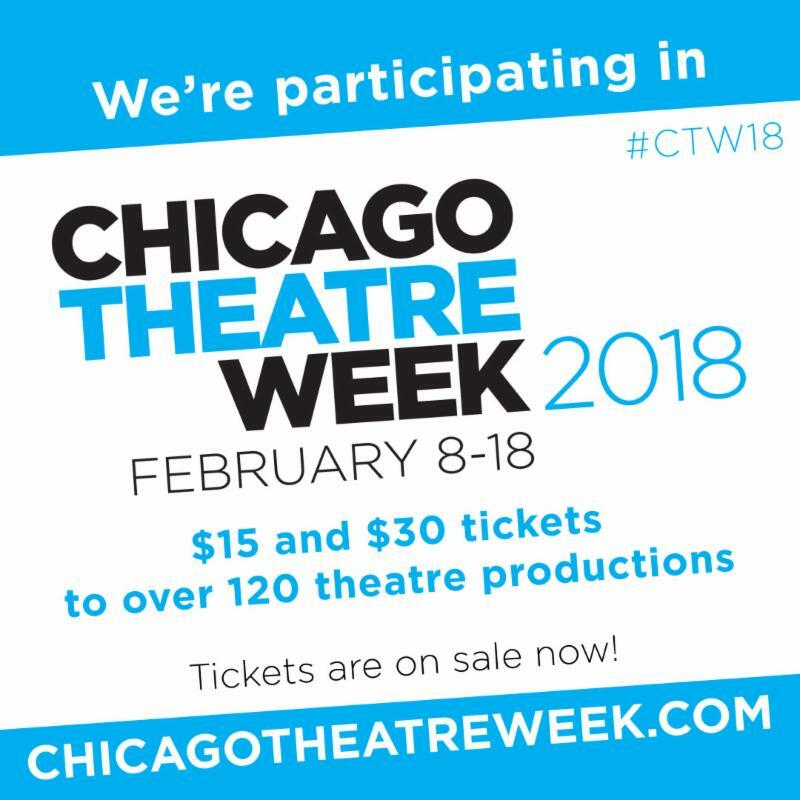 Discount tickets available at Chicago Theatre Week! Check it out. 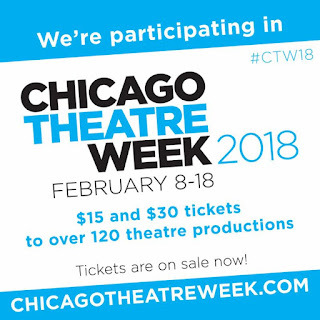 The 4th annual Festival takes place during the League of Chicago Theatres’ annual Chicago Theatre Week, with discounted tickets available to all Theatre Week performances! The festival provides much-needed artistic resources for emerging composer/lyricist teams to have their work supported, explored and most importantly – performed! 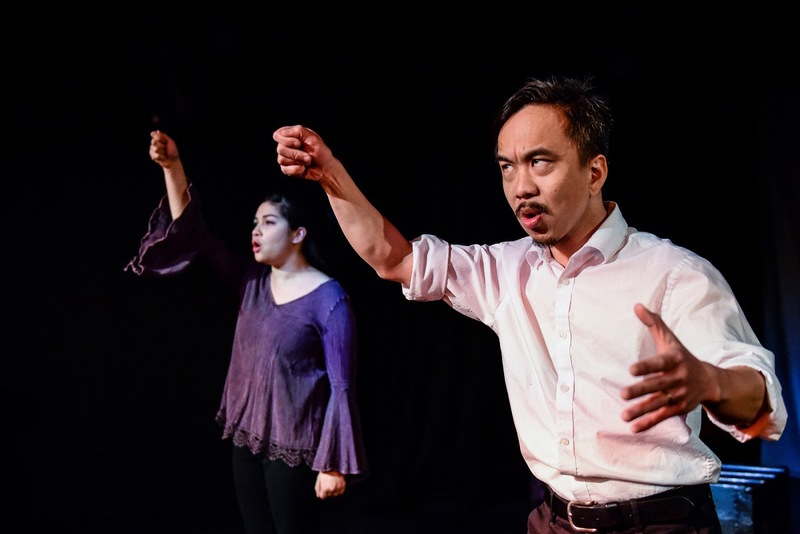 (left to right) Vi Tran, Michael Van Pham, Carolyn Plurad and Diana Lee in THE BUTCHER'S SON, part of the 4th annual CHICAGO MUSICAL THEATRE FESTIVAL. Photo by Evan Hanover. 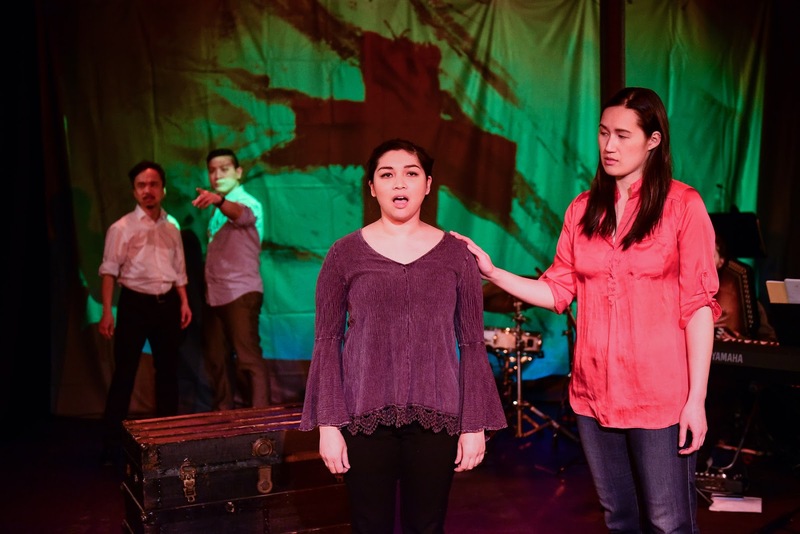 (left to right) Carolyn Plurad and Vi Tran in THE BUTCHER'S SON, part of the 4th annual CHICAGO MUSICAL THEATRE FESTIVAL. Photo by Evan Hanover. 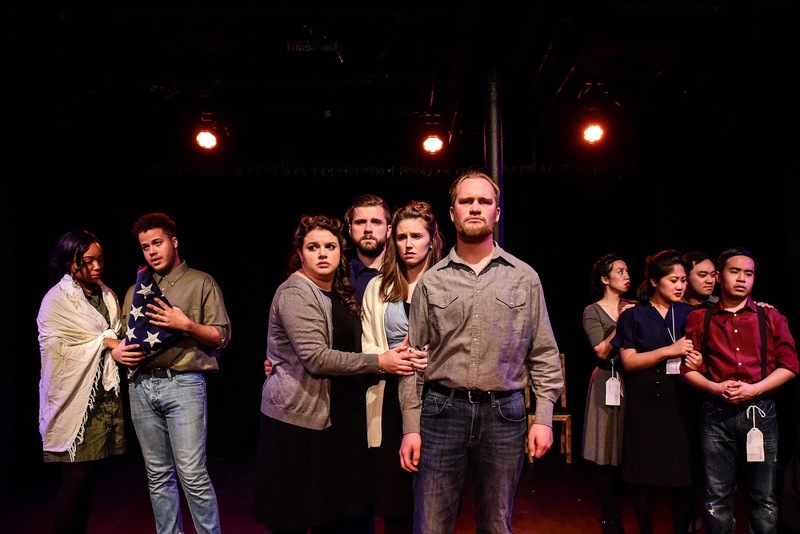 (pictured) The cast of LIBERATORS: AN AMERICAN MUSICAL, part of the 4th annual CHICAGO MUSICAL THEATRE FESTIVAL. Photo by Evan Hanover. 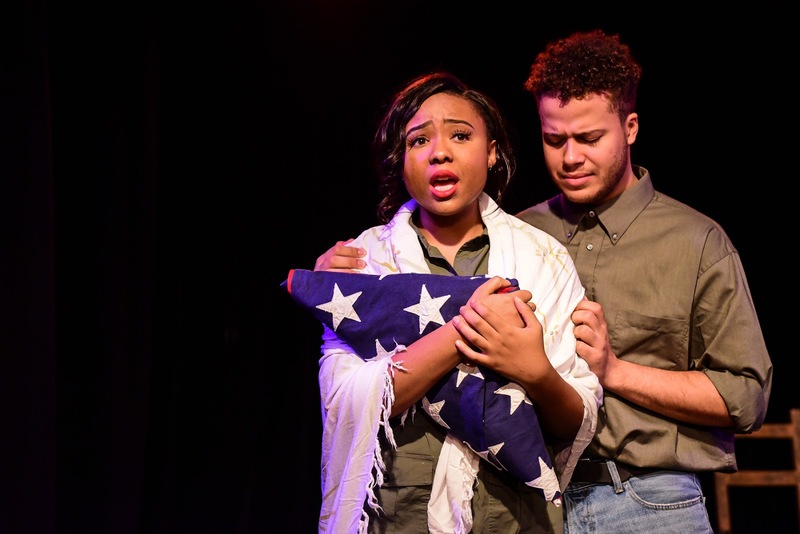 (left to right) Caitlin Dobbins and Luke Halpern in LIBERATORS: AN AMERICAN MUSICAL, part of the 4th annual CHICAGO MUSICAL THEATRE FESTIVAL. Photo by Evan Hanover. 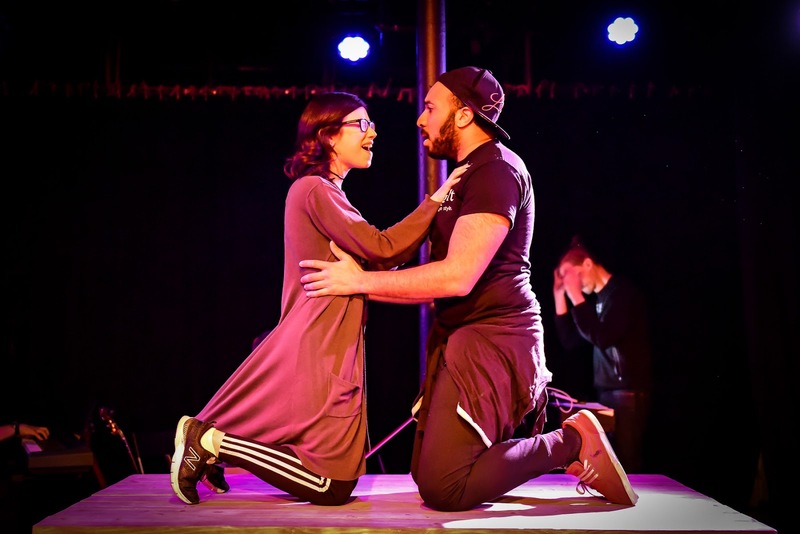 (left to right) Meredith Kochan and Chuckie Benson in “TRU,” part of the 4th annual CHICAGO MUSICAL THEATRE FESTIVAL. Photo by Evan Hanover. 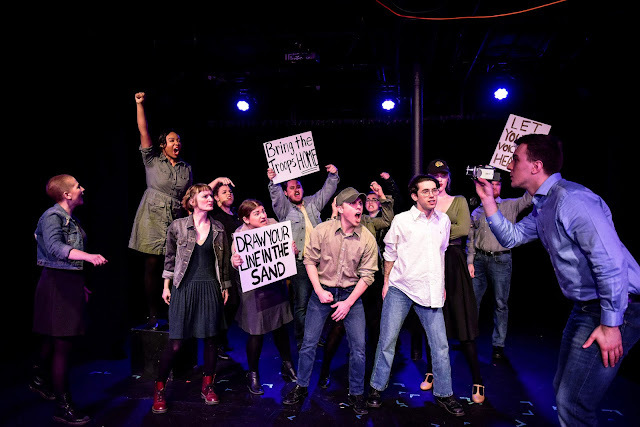 (front, l to r) Marissa Pattullo, Bradley Atkinson and Kiko Laureano with the cast of “TRU,” part of the 4th annual CHICAGO MUSICAL THEATRE FESTIVAL. Photo by Evan Hanover. TRU-3 (pictured) The cast of “TRU,” part of the 4th annual CHICAGO MUSICAL THEATRE FESTIVAL. Photo by Evan Hanover. Are you a die-hard musicals fan? Do you want to see some terrific new shows and get invited to some exclusive events? Buy a festival pass and save! A 7-show festival pass costs only $120. Buy one HERE. 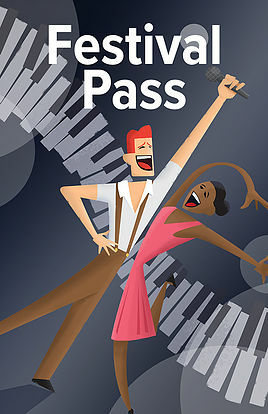 Once I get my pass, how do I use it? Go to buy a ticket just like normal. Once you log in, you will be prompted to use your pass like any other payment method.